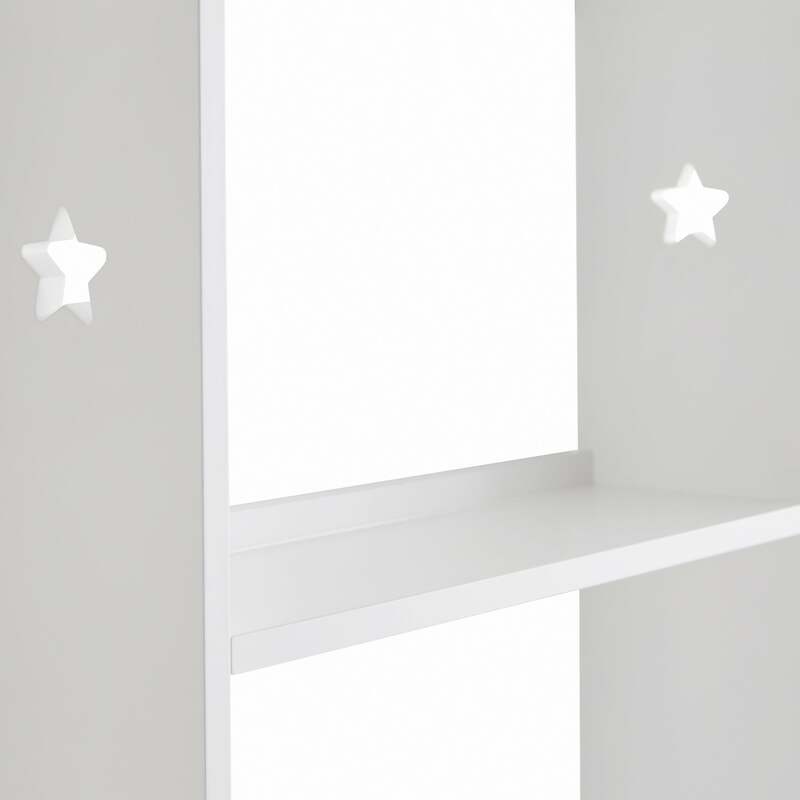 Star Wall Shelves - Portrait | Great Little Trading Co. This lovely wall shelf is great for narrow spaces; it has a matching sibling in a landscape design. It also features hanging hooks for scarves, keys, lanyards or even medals, and echoes the design of our fantastic Star Book Ledge. 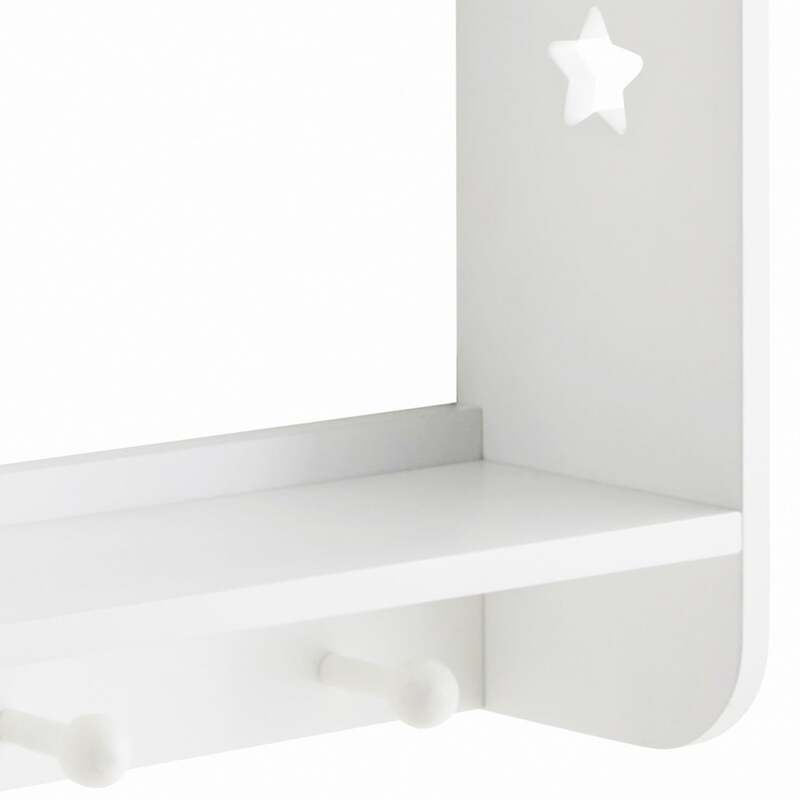 The Star Shelf range come in a variety of shapes and sizes; browse our full range of Wall Shelves to find your ideal design. Wall fixings are not supplied; please use the fixings appropriate for the walls in your home.